These Terms & Conditions apply to between you, the User of this Website (including any sub-domains), and CeCe Olisa, the owner and operator of this website. By using this site you accept and agree to be legally bound by our terms and conditions. We may change the terms and condition at any time without notice. Please read these terms and conditions carefully, as they affect your legal rights. Your agreement to comply with and be bound by these terms and conditions is deemed to occur upon your first use of the Website. If you do not agree to be bound by these terms and conditions, you should stop using the Website immediately. Information collected by CeCe Olisa from their customers is kept strictly confidential. Any information passed on to third parties such as the USPS or courier companies, is solely for the completion of your order. CeCe Olisa will not sell any collected personal information. 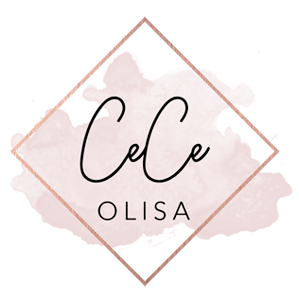 This website and its content, including the site design and graphics, is copyright of CeCe Olisa. All rights reserved. Any other trademarks, company names, product names and/or logos set forth in this web site are the property of their respective owners. Trade marks, brand names, product names and company names of or related to the products appearing on this web site are the property of their respective owners. CeCe Olisa does not claim to own any of these trade marks nor claim that CeCe Olisa is related to, endorsed by, or in any other way connected or associated with these companies. The information contained in this website is for general information purposes only. The information is provided by CeCe Olisa and whilst we endeavor to keep the information up-to-date and correct, we make no representations or warranties of any kind, express or implied, about the completeness, accuracy, reliability, suitability or availability with respect to the website or the information, products, services, or related graphics contained on the website for any purpose. Any reliance you place on such information is therefore strictly at your own risk. Through this website you are able to link to other websites which are not under the control of CeCe Olisa. We have no control over the nature, content and availability of those sites. The inclusion of any links does not necessarily imply a recommendation or endorse the views expressed within them. Every effort is made to keep the website up and running smoothly. However, CeCe Olisa takes no responsibility for and will not be liable for the website being temporarily unavailable due to technical issues beyond our control. CeCe Olisa uses Secure Sockets Layer (SSL) technology to ensure that your details are encrypted and securely communicated to us, safe from prying eyes or malicious threats. Secure Sockets Layer (SSL) is a protocol for enabling data encryption on the Internet and for helping web site users confirm the owner of the web site. Learn more about how we keep your shopping experience safe and Secure.